Our Gethsemane collection features devotional items made of exotic hardware with a true olive wood finish. Each piece is crafted and polished to ensure a lifetime of use. This bracelet makes a great gift or give-away for just about anyone. 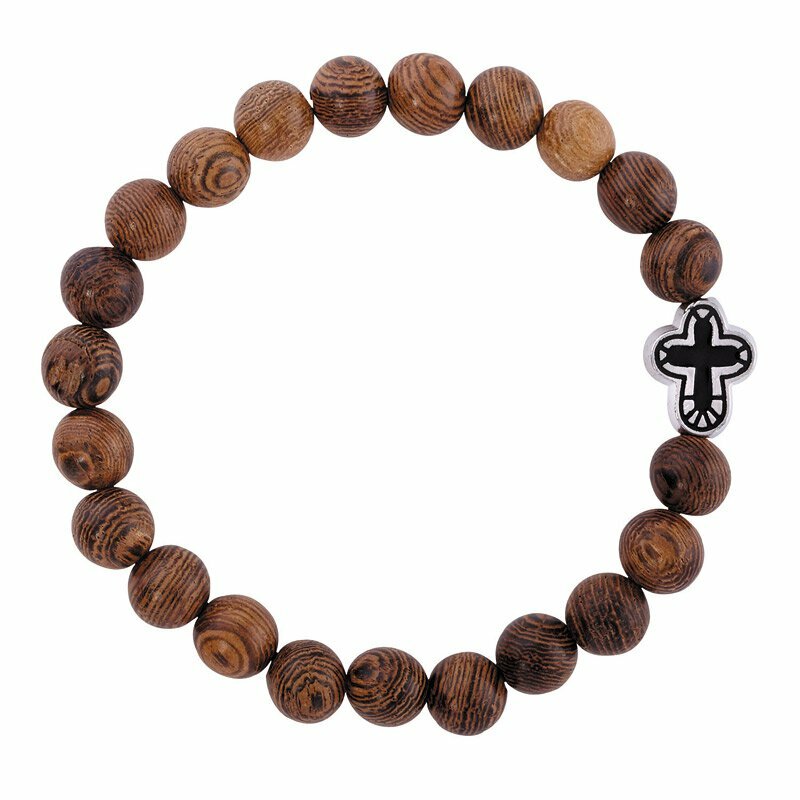 Each bracelet is made up of olive wood finish beads and includes a small cross accent. It is strung on durable stretch cord and is completely adjustable for a variety of fits.